We’re very pleased to say that we received significantly more nominations this year...It will be exciting to see who takes the crown in 2012. Soliant Health, a leading specialty healthcare staffing provider and part of Adecco Group, has opened up voting for its fourth annual 20 Most Beautiful Hospitals contest. After receiving over 300 nominations, a panel of experts reviewed each hospital and picked the top 50 entries based on measures such as architectural style, photogenic properties, landscaping and distinctiveness. The voting for the top twenty hospitals is open at http://www.mostbeautifulhospitals.com until June 18th, 2012. Winners will be announced on July 1st. Soliant Health offers hospitals and other medical providers temporary and direct-hire healthcare professionals, including nurses, physicians, therapists and pharmacists, with placements in leading hospitals and facilities across the United States. 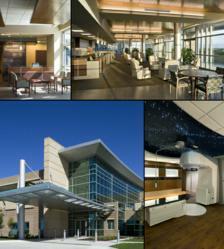 To vote, or learn more about last year’s winners, visit http://www.mostbeautifulhospitals.com by June 18th, 2012.